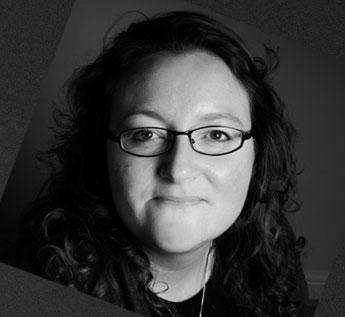 Elizabeth Haynes shot to fame upon publication of her debut novel, Into the Darkest Corner, which was Amazon UK’s Best Book of the Year in 2011 and has been published in twelve languages. 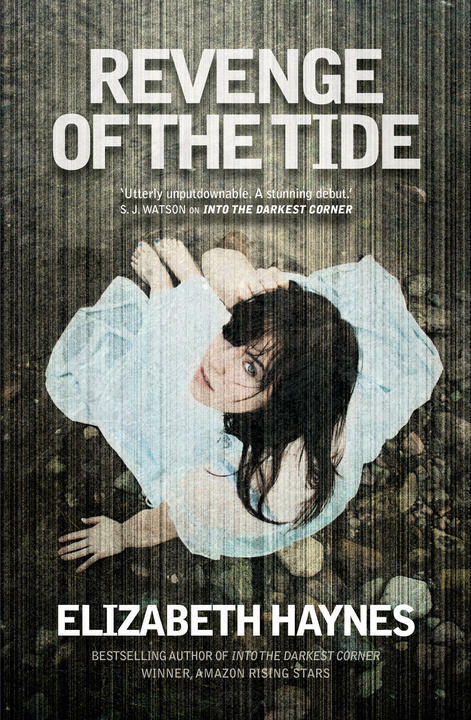 Her follow-up, Revenge of the Tide, was also well-received. 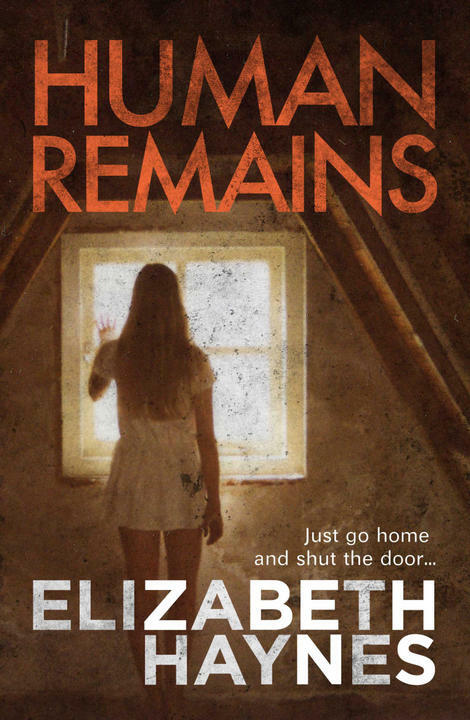 Human Remains, her third novel, is out on 30 January, 2013. What was the starting point for Human Remains? As an analyst working for Kent Police, I did receive a copy of the Chief Constable’s report every morning, and with some degree of regularity this would include bodies found in a state of decomposition. There was never (to my knowledge) an alarming increase in the numbers, but I found myself wondering what I would do if I did notice something like this—and who or what might be the cause. The thought of that made me shiver, which is always the best sort of starting point for a novel. Hoe much did you draw on your own experience working as a police analyst in the writing of this book? I’ve always felt the role of analysts within law enforcement has been sadly overlooked by fiction writers, and I thought it was time to redress the balance. 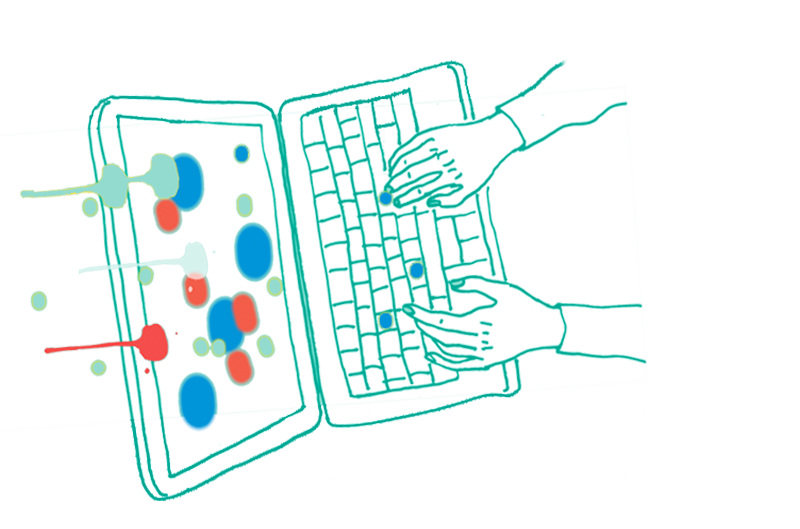 However, it’s harder than it might seem to convey the excitement that we analysts sometimes feel over a particularly enlightening spreadsheet—it makes us sound really geeky and dull. But I’ve always found beauty in patterns, and it’s the perfect sort of puzzle, where something random and nebulous suddenly clears, the various pieces slide into focus and you realise that what you have is evidence about the circumstances of a crime. Everyone in law enforcement knows that thrill, when you realise you’ve found something nobody has spotted yet. I hope I’ve managed to convey something of that. The novel is told from the perspectives of both Colin and Annabel and, movingly, the dead. What made you decide to structure it in this way? I wanted to experiment a little more with narrative voice, having used a past-present narrative structure in both Into the Darkest Corner and Revenge of the Tide. I also liked the idea of the roles of predator/prey and hunter/hunted and I thought it was interesting that Annabel and Colin take both roles at different points in the story. Having researched articles, stories and films about those who decide to withdraw from society and end up dying alone, I wanted to explore the potential reasons why people make this choice—and to consider our responsibility as a society to find that balance between caring for our neighbours, and recognising our right to make adult decisions for ourselves as individuals. It’s difficult to know whether dying in your own home, alone, and at a time of your choosing, is something that should be seen as a tragedy or as a basic human right. Did you enjoy conjuring up Colin’s voice? Do you think he has any redeeming qualities? It was without doubt a challenge for me to write a male voice, and more specifically one that is so unusual. Without wishing to sound unhinged myself, it took me a long time to persuade Colin to ‘open up’ and let me write his story. It was particularly daunting because he’s clearly far more intelligent that I am and I’m sure he wouldn’t consider me to be equal to the task. Despite his idiosyncrasies, I find his unrelenting confidence in his own importance quite funny. How did you come up with his particular technique? There are elements of many different therapies or systems at play in Colin’s technique, all of which are fundamentally designed to be therapeutic or empowering. What Colin does is subtly twist things so that what people actually want—to die without pain or fear—is accomplished in such a way that he can also benefit. One of the principles underpinning neuro-linguistic programming is that it needs to benefit both the practitioner and the individual with whom rapport is built—in other words, win-win. Despite his unusual desires, and his undeniable lack of integrity, Colin’s technique still achieves this to a certain degree. Do you think it could be possible in reality for someone like Colin to use benign therapies for evil intent? NLP is a powerful way to approach communication, and at its best can be empowering, helping people to change their lives for the better, to encourage them to take control of their own destinies and realise their goals. Whether a combination of NLP, hypnosis and mind control could achieve what Colin does in my story is another matter. Colin’s technique is only successful with those who have already chosen a particular path, after all. Do you think there is such a thing as an untraceable murder? No, but it’s endlessly intriguing to try and imagine one. Everything leaves a trace—the trick is knowing where to look. This is your third novel; how does it differ from Into the Darkest Corner and Revenge of the Tide? The first two books are fundamentally about relationships, so I wanted to write a book about the absence of them, about people existing in a world and revolving around the wider society like satellites—living as part of the system but not connecting with it. I am intrigued by the idea of loneliness—or, more accurately, aloneness—as a lifestyle choice. How did you decide on the structure for Into the Darkest Corner? I wanted to write a dual narrative to explore the story of the same character four years apart, to show the difference in her life before and after a traumatic event. In Into the Darkest Corner we meet Catherine as a carefree and outgoing twenty-something, living her life to the full, but we also see her four years later, clearly suffering from crippling OCD and terrified for her safety. Running the two strands of her story in parallel allowed the contrast to unfold, from how she copes with Christmas, for example, to more essential themes such as her opinion of herself; her courage, her fears, her self-esteem. And the structure provided the perfect way to build suspense, since the reader is waiting to find out what happened to Catherine in between those times, and whether her fears in the present are justified at all. When we meet Genevieve in Revenge of the Tide she’s living on a houseboat on the River Medway. What made you choose this setting for the novel? I’ve always been intrigues by the idea of living on a boat, and as I live quite close to Rochester and the River Medway I thought it would be a great place to write about. I really enjoyed threading Genevieve’s adventure through locations that are familiar to me; it made the whole story much more real. The river can be so beautiful in the sunshine, with Rochester Castle standing guard over it, but at night time, on a foggy night in November, it can be quite chilling too. For Genevieve, at the start of the novel, living on a houseboat is a long-held dream, but it rapidly turns into a nightmare when a body washes up against the side of her boat, and she recognises the victim. The story of how she came to escape her double-life in London—office worker by day and pole dancer by night—is revealed as her sense of security in her new life unravels, and the boatyard that initially felt like such a safe haven can’t hide her secrets forever. 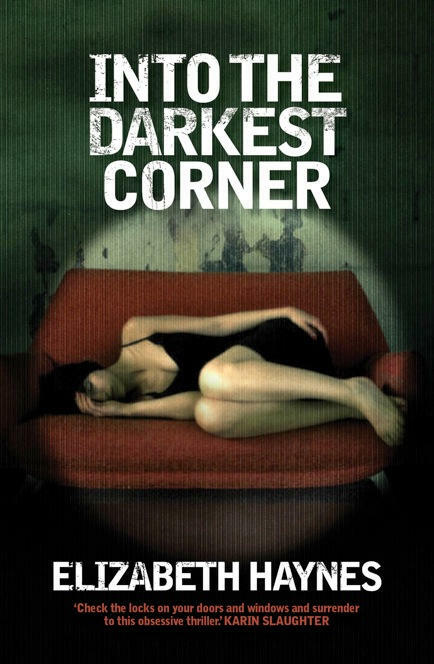 How has your life changed since the publication of your first novel, Into the Darkest Corner? It’s all gone a bit mad, really. I have to keep pinching myself, since the life I’m living now is pretty close to the writerly fantasies I had as a teenage. I did think I’d rather like to live in a converted lighthouse on a clifftop, but for now I’m quite happy with my writing shed. I particularly enjoy meeting book groups, in person or via Skype. It’s a real privilege to get feedback from readers and I’m always amazed and chuffed to bits when people take the time to email to let me know what they thought. I still can’t quite believe that I am a writer and I struggle to call myself that if anyone asks me what I do for a living. I can manage to think of myself as a novelist—as is everyone who successfully completes National Novel Writing Month!—but being a proper writer somehow still seems a little unreal, as though the day I take that on board will be the day it all ends. For now, though, I’m going to enjoy everything while I can.